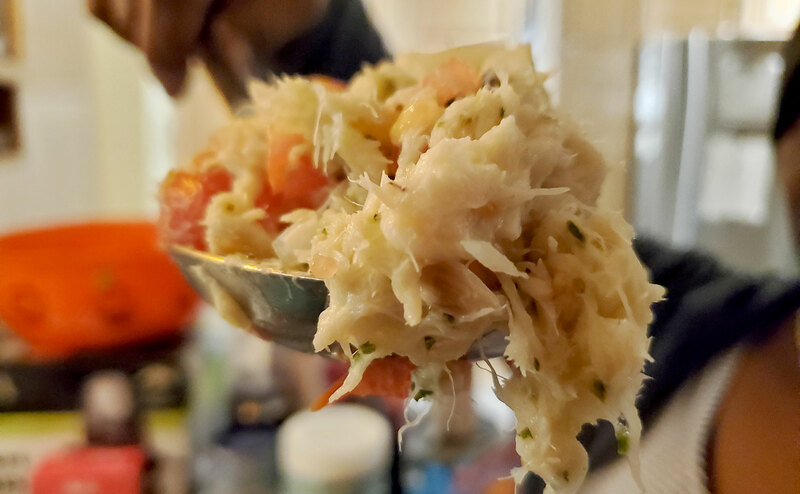 This delicious dish of cocktail, the cod chiquetaille (chiktay in creol) mad with flaked salt cod is normally served cold, but can easily consumed hot or warm. 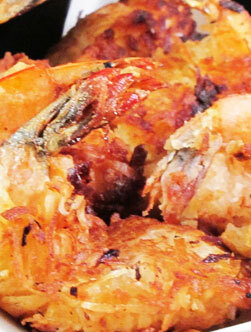 So fast and easy to prepare, these shrimps are bound to be the hit of your cocktail. 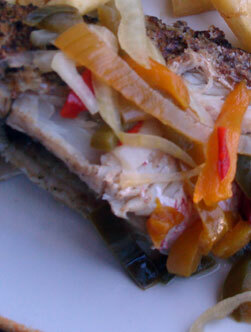 Perfect for Sunday soul food menu or any other special occasion. 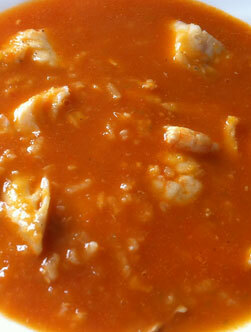 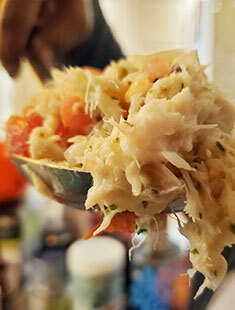 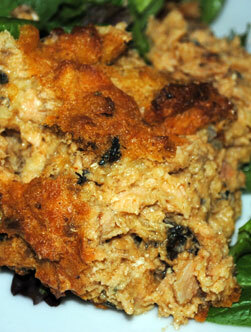 This recipe can be adapted to any kind of pink fish. 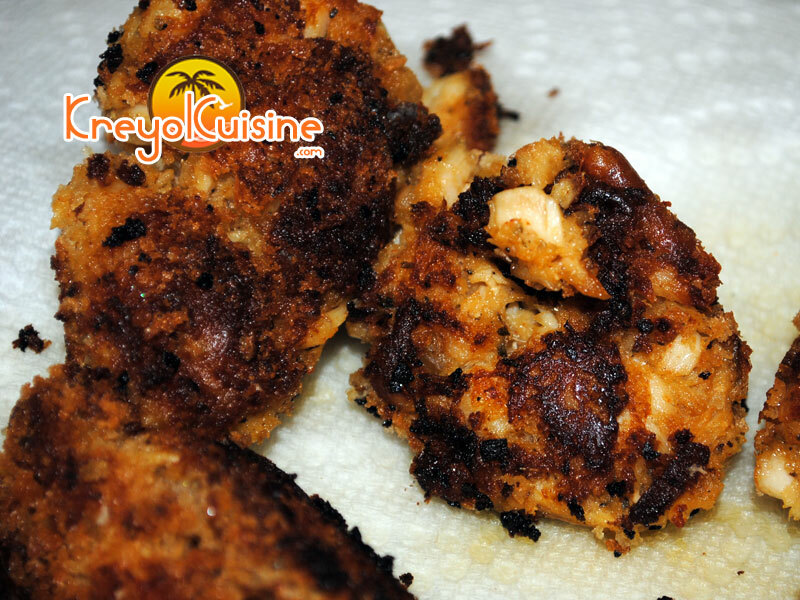 Enjoy this special appetizer recipe. 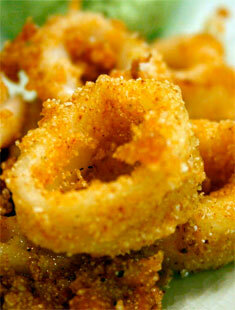 Don't eat too much of them as that fill you up pretty quickly. 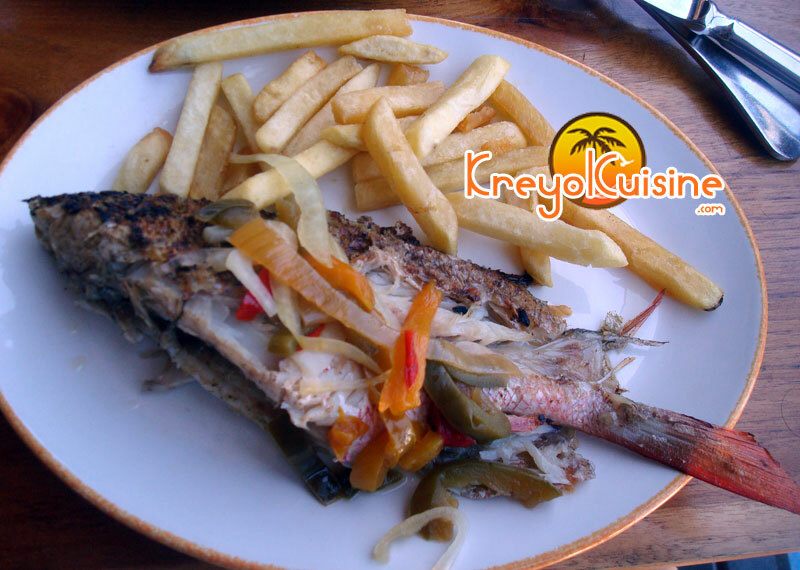 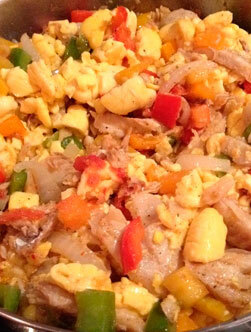 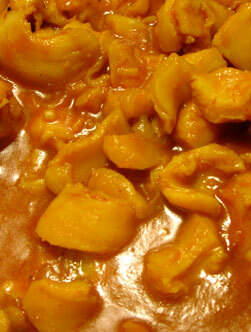 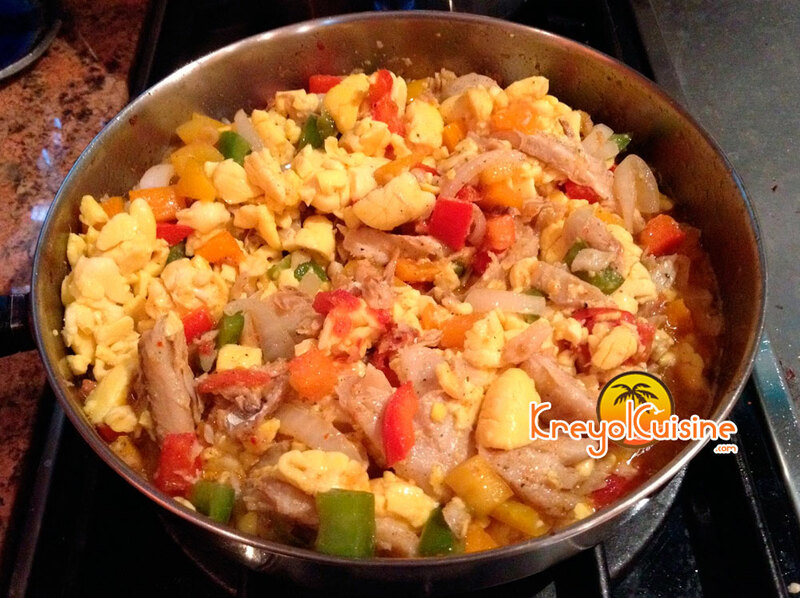 This is a classic Jamaican dish that is often served with boiled green plantain as well as fried dumplings. 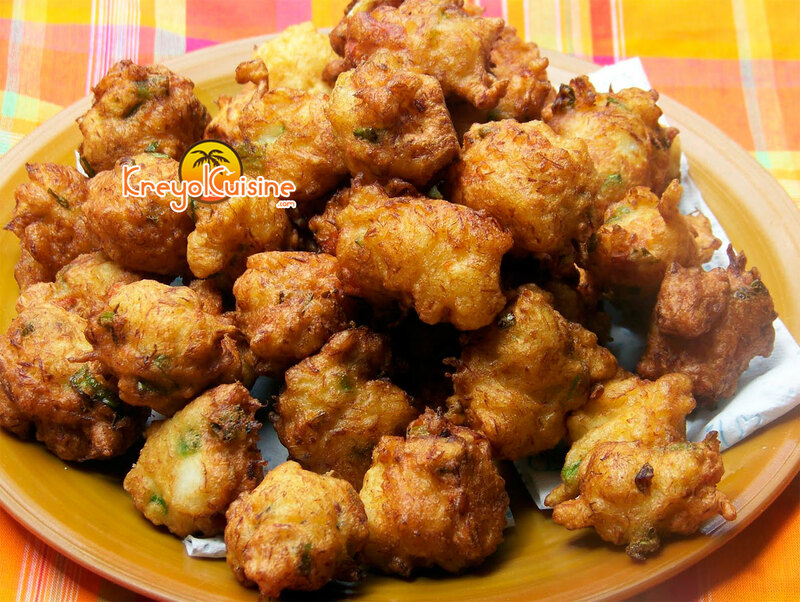 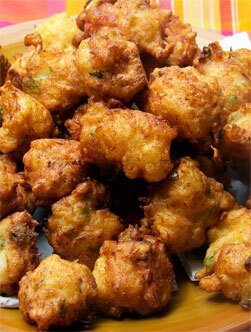 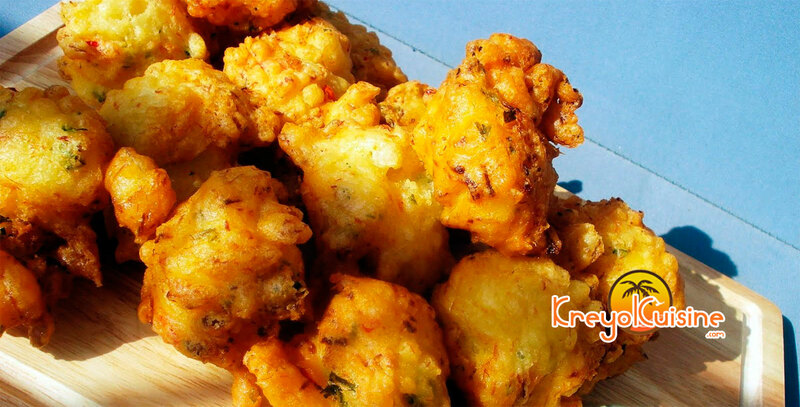 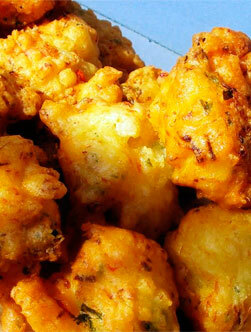 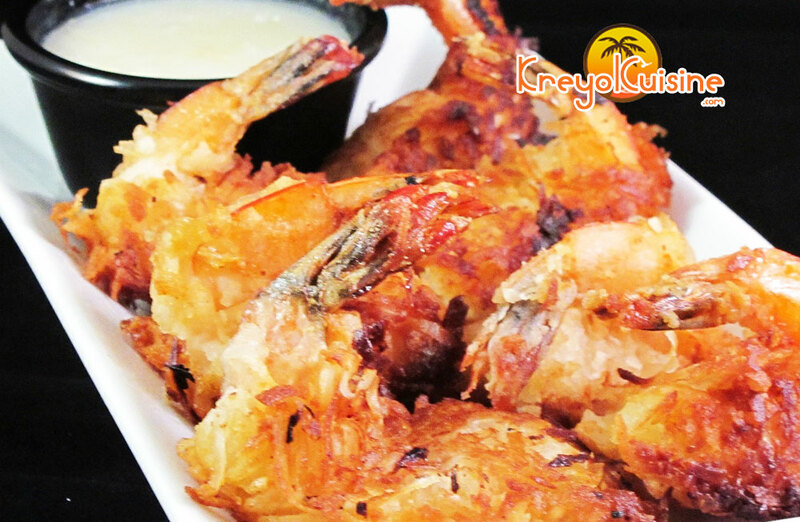 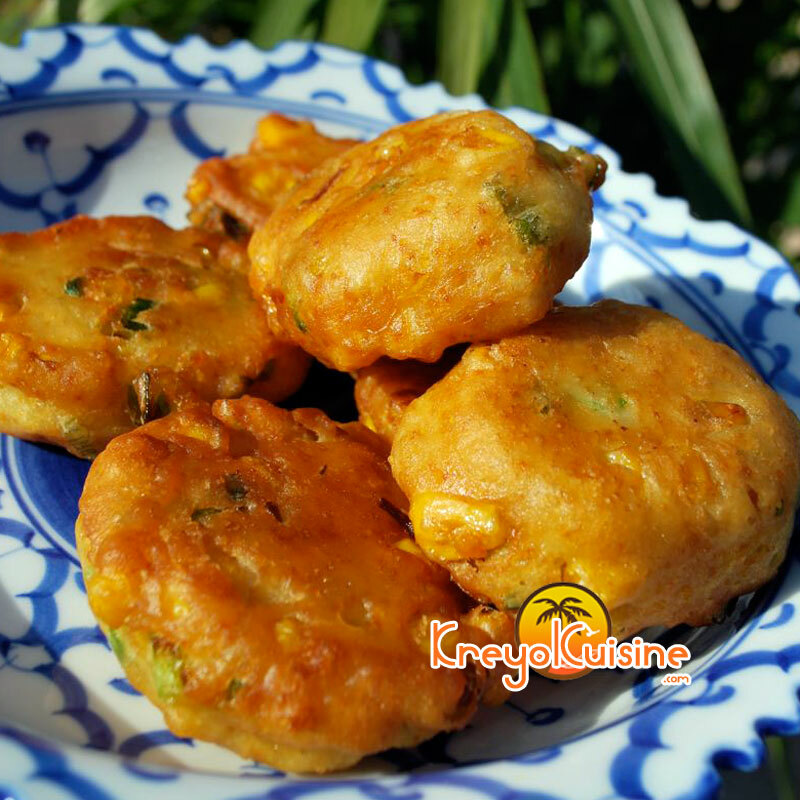 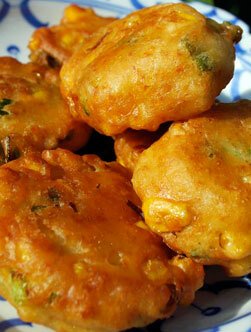 The acras are small fritters that can be prepared with fish, seafood or vegetables. 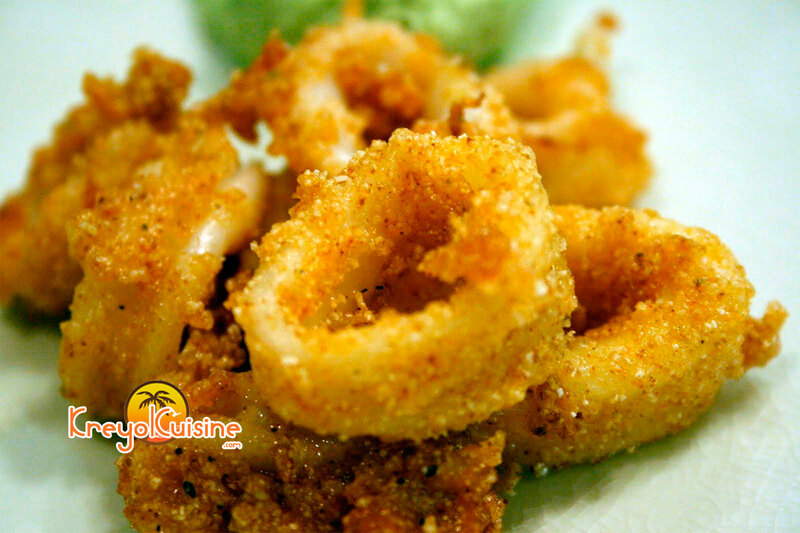 They are served as an appetizer or starter. 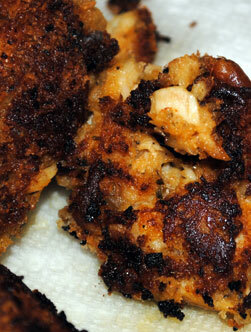 Use panko and a touch of Dijon to create perfectly flaky and tender cod cakes. 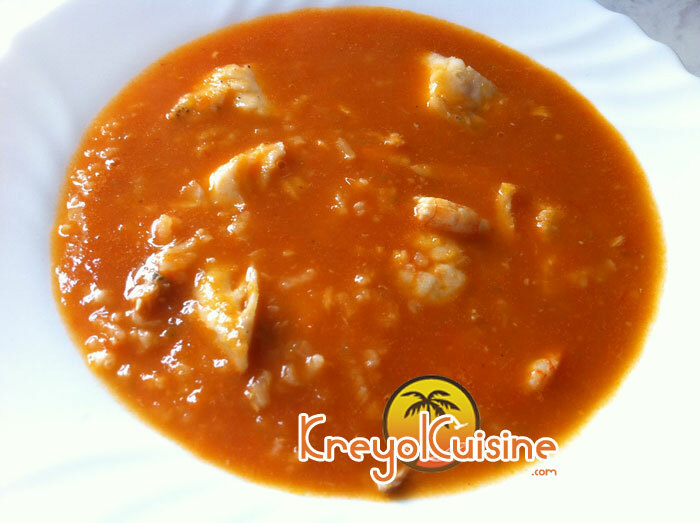 Rich and easy to cook, this authentic soup made with various fish flavored with squash and sorrel comes from the south of Port-au-Prince, in Haiti. 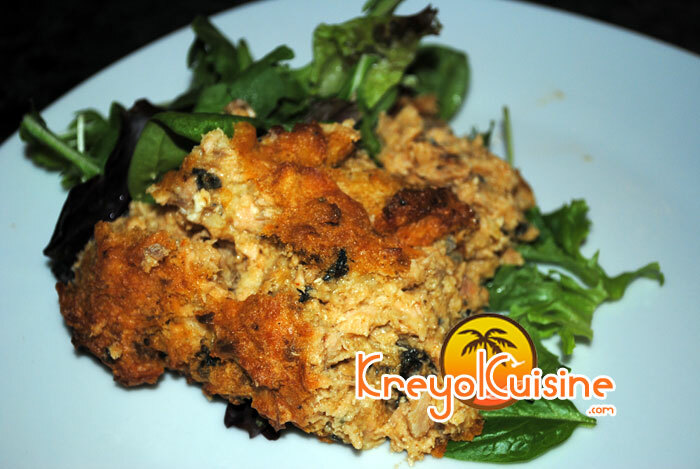 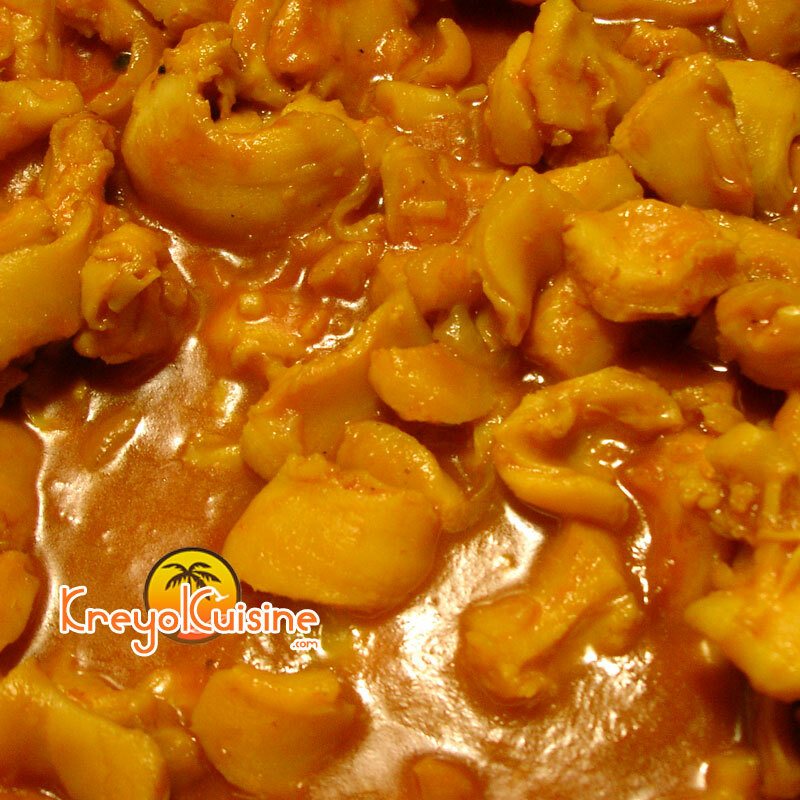 This is a traditional Haitian recipe that is made with conch, this wonderful shellfish that is delicious but so hard to find out from the Caribbeans.